This has most defiantly been the hardest video I've filmed in the three years I've been doing youtube. 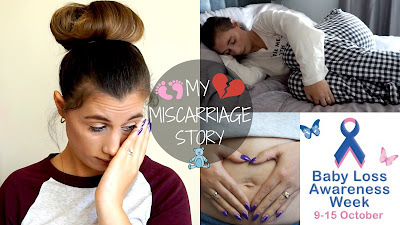 I recently spoke about my missed miscarriage in a weekly vlog but didn't go in to to much detail. I just didn't feel it was the right time, However with Freddie being four and about to attend school I was getting them baby related questions. "Are you and your husband wanting anymore children?" "Are you planning another baby?" "Is there going to be a Baby number 3?" It was getting a bit to much and I needed to address it ASAP. 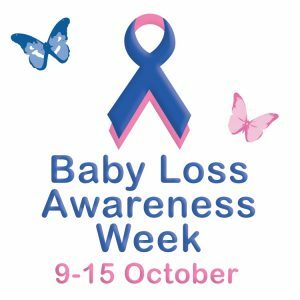 With it being baby loss awareness week this week. I thought this was the perfect time to open up and talk in more detail about my story. I was hoping to help others that have been or going through the same thing as I did last year. Even though its a year on, its still an emotional thing to talk about and is still quite raw. It was a challenge to film my story and talk through what happened step by step.. it was like reliving that day all over again. However I don't regret it.. Im not going to lie I was so nervous to press that publish button. Its such a personal thing. But as usual Im blown away with the messages and lovely comments i have received over the past 24 hours. I thought I would just write a quick little post here too.. One as a thank you, If you have already watched it and left a thumbs up and/or a lovely comment. Two... incase you haven't seen it yet and to share more awareness and love a little further.